Viknesh Vijayenthiran June 28, 2017 Comment Now! 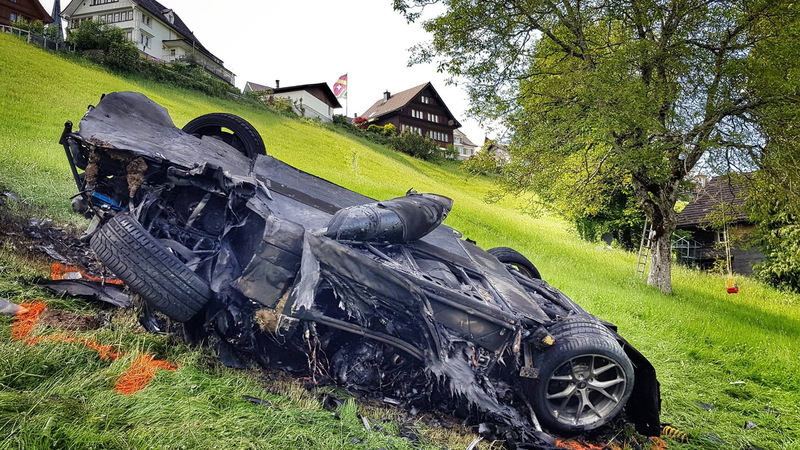 “The Grand Tour” host Richard Hammond was involved in a major accident on June 10 while taking part in a Swiss hill climb. 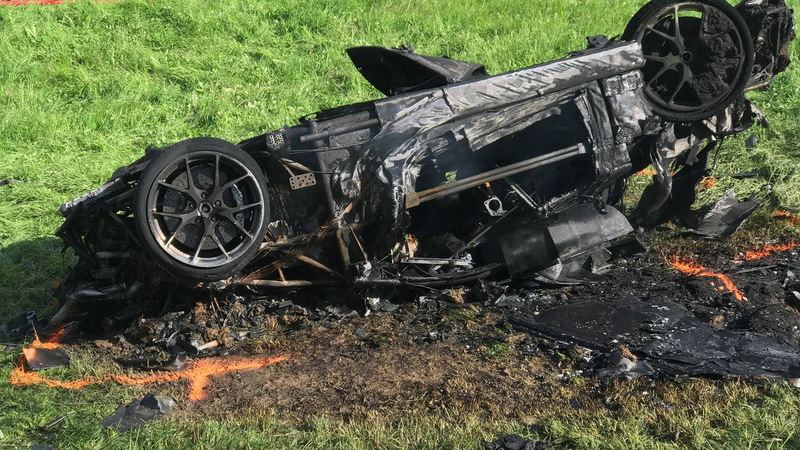 He was driving the 1,206-horsepower Rimac Concept_One, and when approaching a sharp bend appeared to have lost control of the electric supercar which then skidded off the road. Incredibly, his only injury was a fractured knee—despite the car flying through the air and ending up more than 300 feet below the section of the road it originally ran off. Now out of hospital, Hammond has sat down witth Rimac CEO and founder Mate Rimac and the folks from DriveTribe to discuss just what happened on that fateful day. Hammond reveals that he genuinely thought he was going to die during the car’s barrel roll, something his co-hosts on “The Grand Tour,” Jeremy Clarkson and James May, also thought. Understandable considering that, as we learn in the interview, the car reached 110 mph on the approach to the corner. Both Hammond and Rimac also agreed that despite the severity of the crash, Hammond’s injuries were minimal, highlighting the structural integrity of the car. Towards the end of the interview we learn from Hammond and Rimac why the car ran off the road. Here, they don’t completely agree. Rimac explains that Hammond went “way too fast” into the corner and that the car’s torque vectoring system, in a best effort to see the car turn in and not simply run straight off the road, dialed up the oversteer to initiate a slide. Hammond accepts this but explains that on all previous attempts he could never get the car to oversteer. Rimac replies that Hammond was going faster and faster on each attempt at the hill climb as his confidence built up and that the final run was simply too fast. 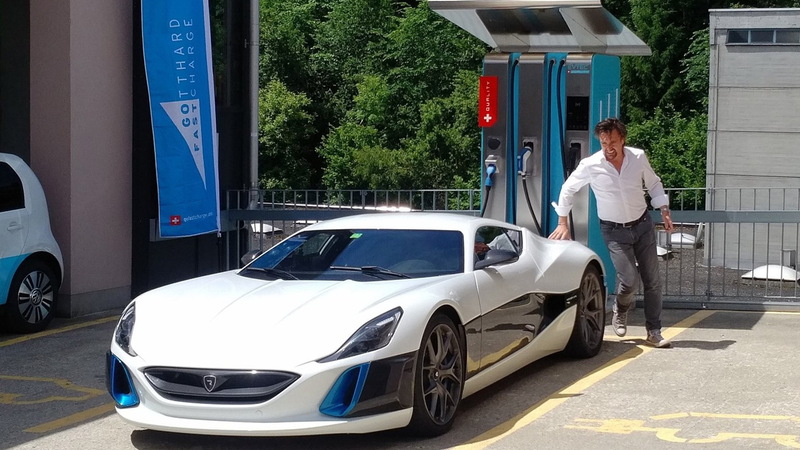 Finally, it’s worth mentioning that Rimac also announced a new, higher volume supercar that will be even more extreme than the Concept_One. Just 10 Concept_Ones were built and now only nine exist.